B. Thomas (Arlington, Texas, United States) on 3 April 2017 in Animal & Insect. 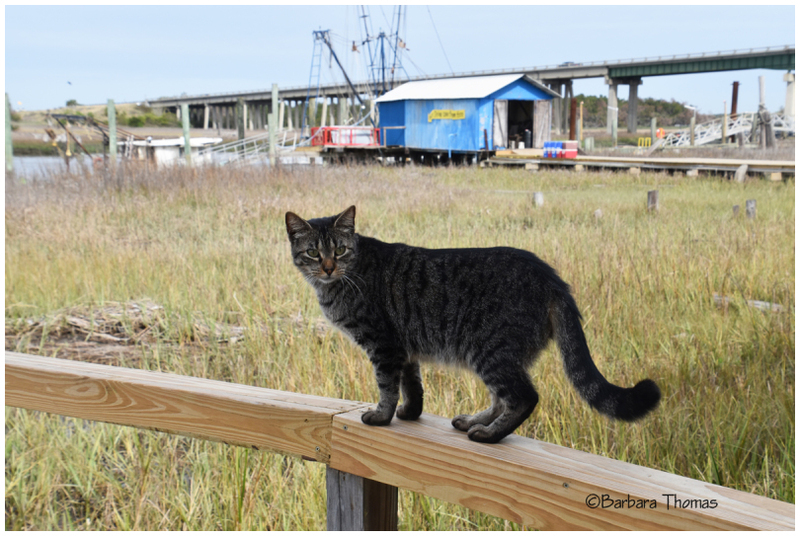 Nestled under the Lazaretto Creek Bridge with river and marina views is Captain Mike's Dolphin Tours where you may be greeted by one of the feline residents. Capt. Mike and his family have undertaken the care of this cat colony since 1993. All cats are vaccinated and spayed or neutered, and enjoy a life of leisure, sunbathing on the docks and snacking on fresh seafood. Young kittens are kept in the office for sociliazation and care. Most are available for adoption through Coastal Pet Rescue, an animal rescue organization founded by Capt. Mike's daughter, Lisa. Wonderful image and story. Thanks for sharing. A good thing. Cats can enjoy the real life quite safely. At the same time they are helpful in the fight against mice and other rodents. On the fence stands a handsome guy. Excellent capture of this cat with its eye-catching markings in its fur!! Great story behind the feline rescue as well! What a wonderful thing to do! Wonderful big hearts always are the best. Great place for this kind of charity work. Une belle attitude de ce "tabby", et une belle histoire de personnes qui aiment les animaux, c'est superbe !